Donoussa is only accessible by sea. Donoussa, the farthest and most remote of the islands of the Small Cyclades from Naxos, is accessible via the local ferry, the Express Skopelitis, 3x per week with a travel time of about 4 hours (from Naxos). 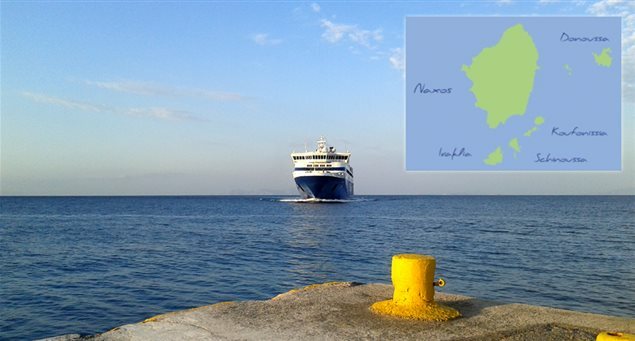 The ferry line, Blue Star Ferries (www.bluestarferries.gr), originating in Piraeus stops at Donoussa via Naxos 3x per week in the off-peak season and 4x per week in the peak season and has a travel time of about 1 hour and 10 minutes (from Naxos).